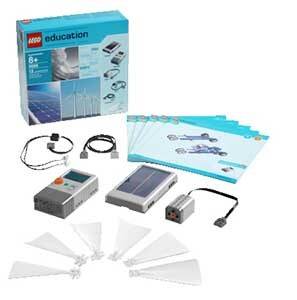 This exciting Add-on set allows students to learn about renewable energy sources and can be used with the Simple & Powered Machines Set (9686) and LEGO MINDSTORMS EV3 and NXT. The set includes a solar panel, turbine blades, a motor/generator, LED lights, an extension wire, a LEGO Energy Meter and full-colour building instructions for six real-life LEGO models to build with the Core Set. Add the Renewable Energy Activity Pack (2009688) for detailed lesson plans to cover solar, wind and hydro power. Connected to a MINDSTORMS Intelligent Brick, the energy meter works as a sensor and can be used for both programming and data logging.